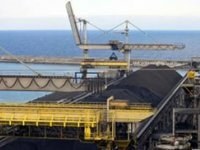 Ukraine in 2016 imported coal and anthracite (foreign activity code 2701) worth $1.467 billion, in particular in December for $172.008 million. According to the State Fiscal Service, Russia supplied coal for $906.298 million, the United States for $212.11 million, Canada for $94.374 million, other countries for $254.308 million. Thus, in money terms imports of coal and anthracite last year fell by 10.1% or $165.387 million compared to 2015 ($1.632 billion). The total volume of coal delivered to the country last year amounted to 15.648 million tonnes. Ukraine in 2016 exported 520,585 tonnes of coal and anthracite for $44.762 million, in particular to Slovakia for $26.887 million, Russia for $7.484 million, Turkey for $7.102 million, other countries for $3.289 million.